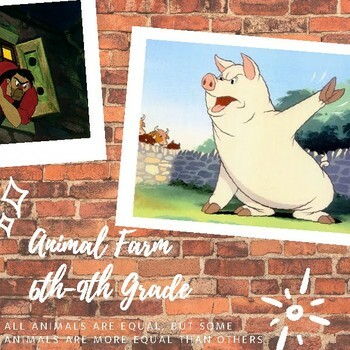 This is a clear unit plan which breaks down the material from Animal Farm into easy chunks for a middle school or high school classroom. This unit plan can be adapted and changed for any classroom! 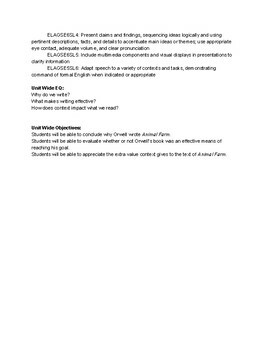 It includes standards, unit and lesson level objectives, and essential questions. 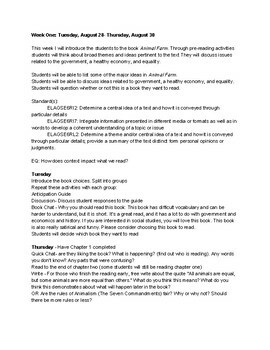 The unit plan gives suggestions for activities to do with the book twice a week. 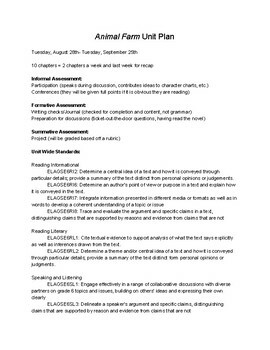 This unit plan was originally created during a writing focused unit, and it allows for three days of other plans during the week, but it can be modified as needed. I will post individual lesson plans and materials which go with the unit plan. Message me with any questions or comments.